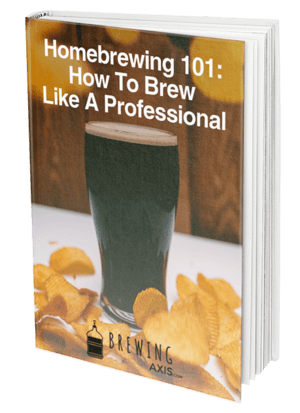 Brewing your own beer has a range of benefits, but if you want to make sure that the homebrewing process progresses smoothly, the right equipment will be crucial. Unfortunately, it can often be a challenge to determine whether or not homebrewing gear will work well for your needs until you buy it. Luckily, you can always rely on reviews to give you the info that you need, and today, we’re going to be taking a look at one of the better brew kettles on the market. The subject of today’s article will be the 10-Gallon Stainless Steel Brew Kettle from Bayou Classic. 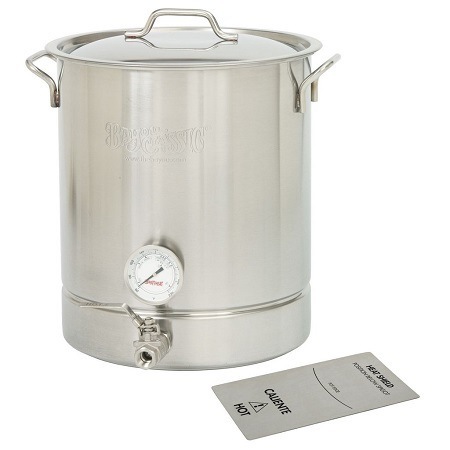 A brewing kettle will be essential for boiling wort, which is the liquid that you will get out of the mashing process when making your own beer from grain. If you’re using an extract process, you simply have to add the extract to water and then boil it in one of these kettles. Before we get to our review of the Bayou Classic brewing kettle, we’re going to cover two of the most important features to look for when buying a high-quality pot of this type. When you get to larger kettles like those meant for brewing, you may find that some products are shipped in an unassembled state. 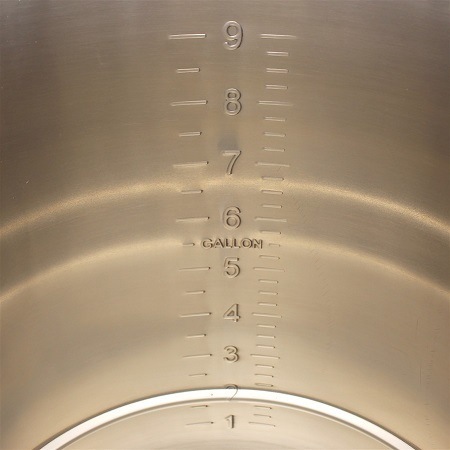 While this may not be common for other kinds of cookware, larger pots will often have several pieces that can be attached and detached, particularly if they aren’t welded. Whether or not you’ll need to assemble your pot when it arrives is a matter that you’ll want to account for, as you may need some tools to put it together. Of course, if your brew kettle does require assembly, then you’re going to want to be sure that it’s relatively easy to put together, as nobody wants to waste hours trying to assemble a pot. Boiling wort is a process that will cause a bit of a mess in the pot thanks to the sticky nature of the sugars that are being rendered. If you don’t want to face any problems after your brew is completed, then you’ll want to be sure to invest in a pot that will be relatively easy to clean out, such as one made of stainless steel. Sugars and other remnants will have more trouble adhering to a smoother material like stainless steel, which makes it perfectly suited for brew kettles. You’ll also want to take a look at the accessories that come included with your pot to see if they have any nooks and crannies where sugars and other substances can accumulate. Bayou Classic is known for two things: the relatively high price of their products and their exceptional build quality, though you’ll find that this model is surprisingly affordable. One of the best parts of this brew kettle is that it’s designed to be much more durable than most of the competition. If you’re looking for a pot that’s built to last, this one will be sure to withstand quite a bit of brewing thanks to its stainless steel construction. This pot will also resist scorching because of the tri-ply bottom, ensuring that you won’t have to deal with a messy cleanup or any other problems when working with grain. The thermometer on this model is relatively accurate, though if you need the most precise measurements possible, you'll still want to stick with an electronic model. However, to ensure that your wort stays at a constant temperature, you won't have too much trouble with this thermometer. 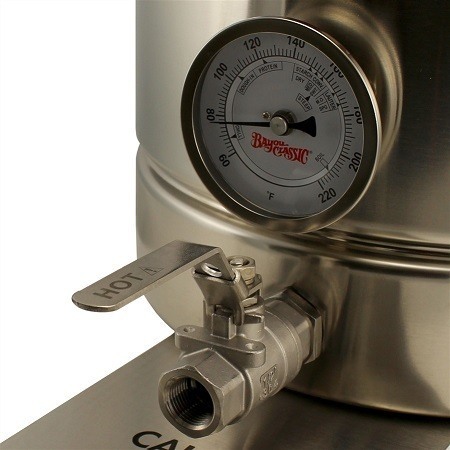 You may also be impressed by the markings on the thermometer, which will provide you with a few different temperature ranges, depending on the wort you're using. While this model supports a false bottom for extra filtration, it does not come included with it, and it must be purchased separately. Having gone over many customer reviews and testimonials about this product, we’ll now present what we found, so that you can get a better idea of what to expect from this model. Starting off with the good parts, most of the buyers of this product mentioned that it's still working reliably months to years after being purchased. Most customers also had no problems installing the washers and Teflon paste, and they ensured a watertight seal. Others also commented on how this pot is surprisingly light at only 9.6 pounds. Keep in mind that this kettle has a few issues of its own, though they are problems that can easily be fixed. A lot of the reviews we saw mentioned the lack of a filter included with this model, so if you want to prevent solids from getting down to your spigot, you’re going to want to invest in one of them. While Bayou Classic sells this product at a price of 300 dollars on their outlet, you can find it for far cheaper elsewhere. For example, Amazon offers this model for just under 140 dollars, which is less than half the price that the manufacturer is selling it for. If you’re looking for a quality pot at a good price, this is an excellent option. 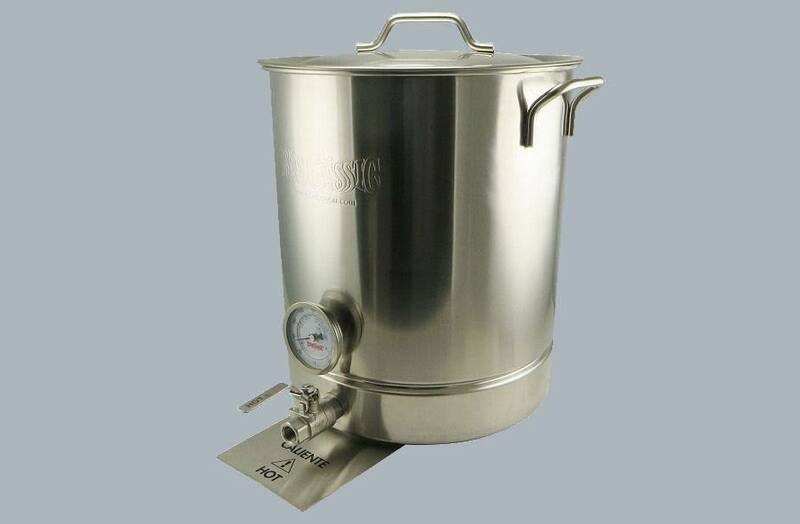 The Bayou Classic 10-gallon brew kettle set is one of the best options around for customers that demand reliability and excellent build quality. Thank you for reading this review, and feel free to leave any questions you may have in the comments down below.